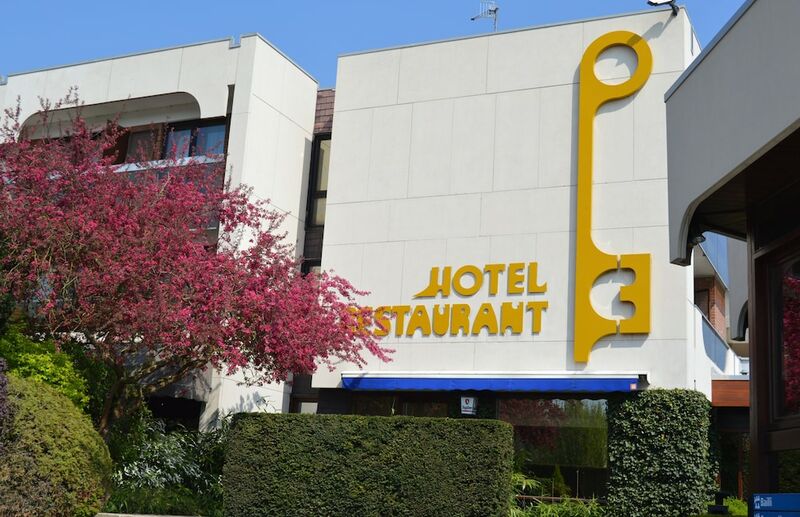 Located in Gembloux, Hotel Les 3 Clés is connected to the convention center, within a 15-minute drive of Belfry of Gembloux and Catholic University of Louvain. This 4-star hotel is 12.8 mi (20.6 km) from Walibi Belgium and 8.4 mi (13.4 km) from Musée L.
Take in the views from a terrace and a garden and make use of amenities such as complimentary wireless Internet access. Additional features at this hotel include concierge services, wedding services, and a banquet hall. Enjoy French cuisine at Le Moulin de Escaille, one of the hotel's 2 restaurants, or stay in and take advantage of the room service (during limited hours). Snacks are also available at the coffee shop/café. Meet other guests and eat at the complimentary reception. Quench your thirst with your favorite drink at the bar/lounge. A complimentary buffet breakfast is served daily from 5 AM to 10 AM. Featured amenities include a 24-hour business center, express check-in, and express check-out. Planning an event in Gembloux? This hotel has facilities measuring 2152 square feet (200 square meters), including a conference center. Free self parking is available onsite.